Helps remineralize teeth, kill bacteria, and clean teeth naturally. 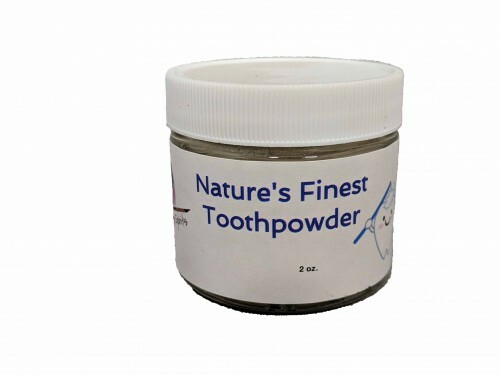 This all natural herbal tooth powder blend is made specifically for folks wanting a more natural tooth powder. A blend of antibacterial herbs without any of the toxins common to many store bought brands. It will leave your mouth feeling clean and minty fresh! Contains: Baking Soda, Clay, Sea Salt, Cloves, Sage, Peppermint and Spearmint.